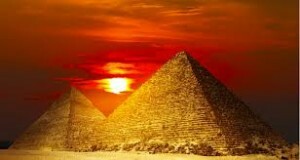 This itinerary includes the major cities of Egypt as; Cairo, Alexandria, Hurghada, Luxor, Aswan plus a Nile cruise to cruise the Nile up for five days. Day 1: Airport to Hotel. Arrival at Cairo airport, meet and assist by our representative, transfer to your hotel. Day 2: Pyramids, Sphinx, and Saqqara. Alexandria was the capital of Egypt during the Graeco_ Roman period in Egypt, and was also the greatest city of the Hellenistic civilization. Drive to Alexandria for a day trip to visit its major sites there as; the Pompey pillar, the Catacombs of el Shaqafa, and the Library of Alexandria. Lunch will be served at local restaurant. Day 4: Egyptian Museum & Old Cairo. Day 5: Fly to Hurghada. 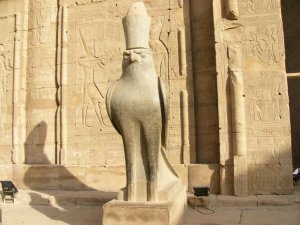 Day 10: Karnak & Luxor temples. Now, you drive for about four hours to Luxor to start your Nile cruise. Lunch is on board, then visit the East bank of Luxor, which includes the impressive temple of Karnak and the majestic Luxor temple. 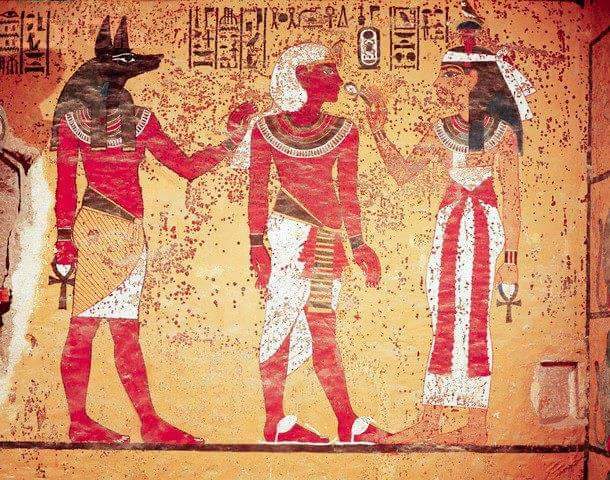 The two temples were dedicated to the Theban Triad, Amun, Mut and Khonsu. Day 11: Luxor West bank. Today you visit the West bank of Luxor which includes, the Valley of kings, which was known as Ta_Maat, (The Land of Justice and Ttruth), and was dedicated to the royal tombs. 64 tombs are now found at the valley of the kings, and all of them are cut deep into the rock. 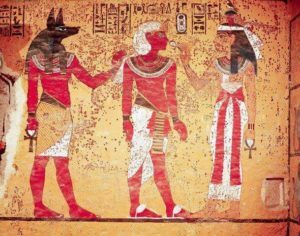 The largest of them are Seti I, Ramses III, Hormoheb, Merenptah, and Hatshepsut, but not all of them are opened for public. Then proceed to the unique temple of Hatshepsut. It is the only temple of Egypt which built in three terraces. She built it the confirm her status as the pharaoh of Egypt. 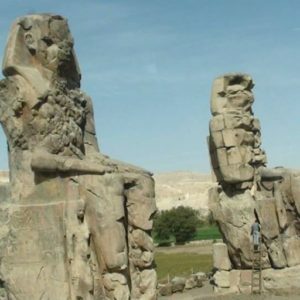 You end this tour by a photo stop at the Colossi of Memnon. Day 12: Edfu & Kom Ombo temples. 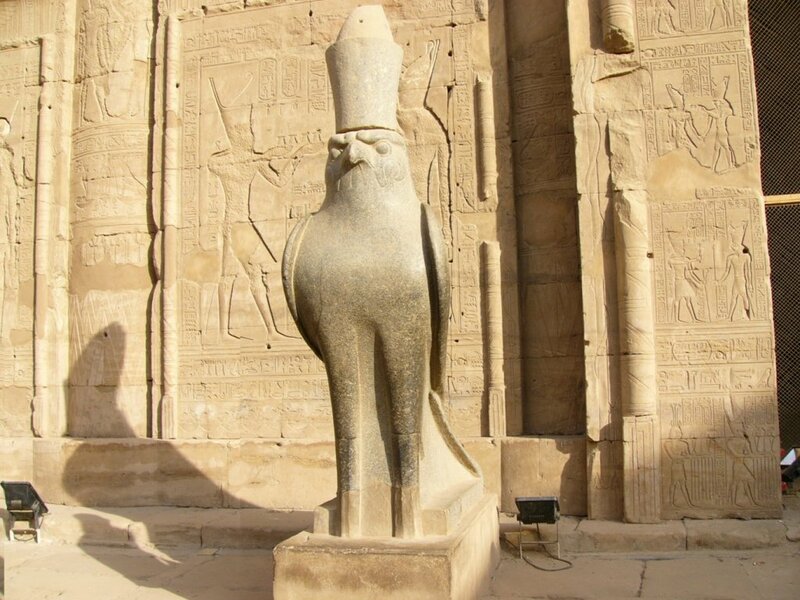 You will take a horse carriage to visit the temple of Edfu, which is dedicated to Horus. This is the most intact temple in Egypt. 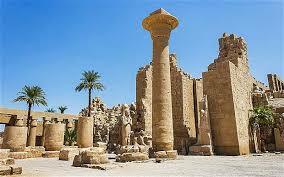 It was built during the Greek_Roman period in Egypt. Then sail to Kom Ombo to visit its temple, which is dedicated to the falcon headed god Horus and crocodile headed Sobek, after that sail to Aswan. Today, you will visit the Granite Quarry of the Unfinished Obelisk, you will know the ancient technique of cutting and modeling a giant obelisk of single piece of granite. 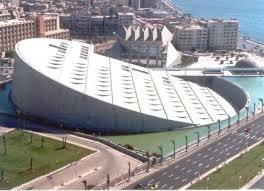 Then proceed to the High Dam which built during the time of the president Nasser. 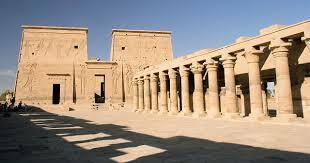 You end your tour with the pearl of Egypt, the temple of goddess Isis at the island of Philae. A motorboat ride is required to reach the island. After lunch, take the felucca sail boat ride around the Elephantine and Botanical garden. Day 14: Fly back to Cairo. The price is $1600 per person in twin/double room. 5* Hotel in Cairo, on Bed and Breakfast basis. 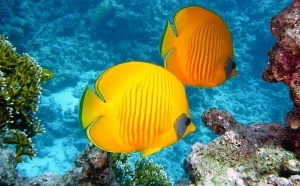 5* Hotel in Hurghada, on All inclusive basis. 5* Nile cruise, on Full board basis, start by Lunch, finished by breakfast. Flight ticket from Cairo to Hurghada. International flight ticket and Visa.